Verify proper seating during part transfer. Because the optical axis is 10 mm (0.39) wide, it is possible to identify a raised area anywhere on the target. 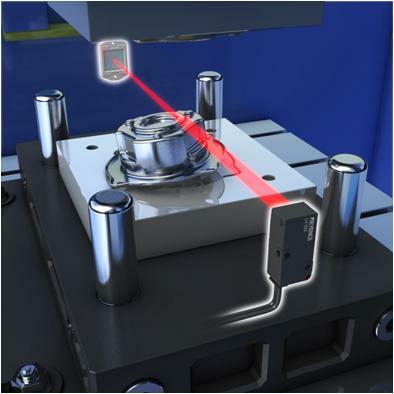 By detecting improperly seated parts, damage to costly workpieces is prevented.